Lobi - Chat & Game Community ("Lobi") service run by KAYAC Inc. released on Friday, July 7, 2017 a tournament platform Lobi Tournament. 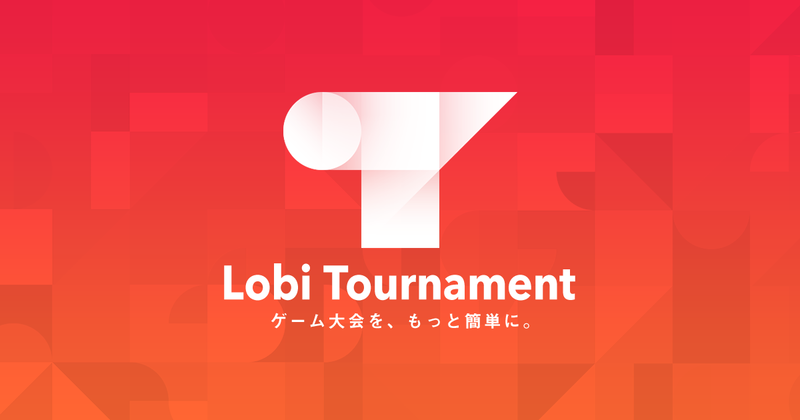 Lobi Tournament is a tournament platform helping organizers manage events more smoothly from calling for participation through running and supporting tournaments. Anybody can use it for free to organize a tournament of their favorite game. Organizers can create an entry page by simply entering rules, dates and other required information in the form. For the second and subsequent events, they can create a new one by copying past tournament information. 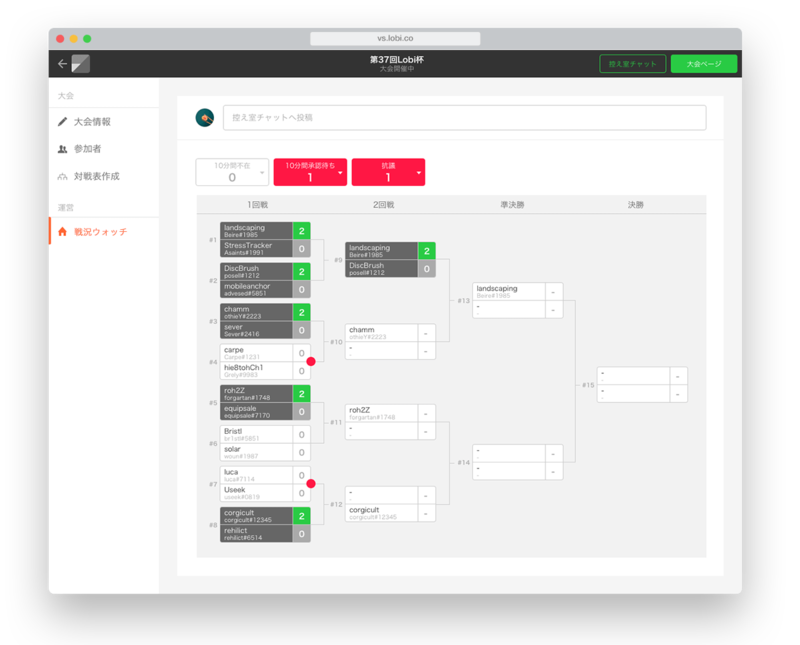 Users can create a tournament table automatically at the click of a button after entries/check-in are closed. They can also change matches in the tournament as they wish. Users can instantly see any problem in a match. Organizers can change wins and losses when there is any trouble including absence of an opponent or erroneous win-loss report. A tournament table is updated in real time along with the progress of the games. Organizers and participants can review the updated tournament table and opponents at any time. 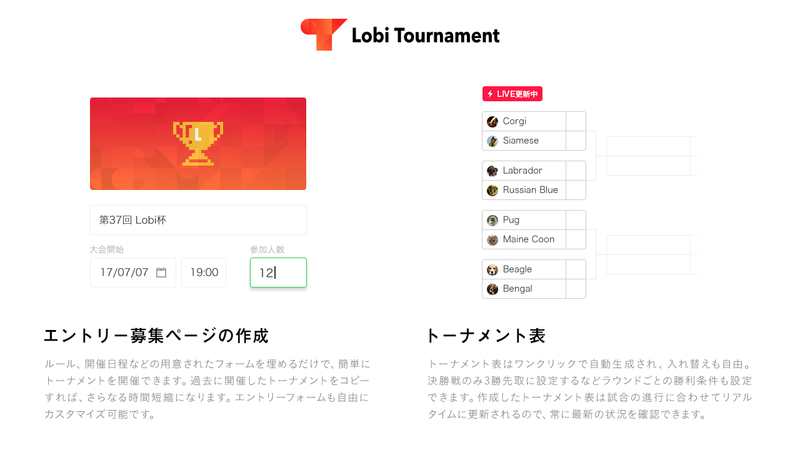 Other special features for selected games are also available such as ""waiting room chat"" that works with Lobi group chat and allows organizers to make announcements and respond to questions from participants, and BAN function, which supports BAN rules often employed as tournament rules. Lobi will continue adding functions and improving usability to encourage more organizers to use the service. Lobi is a group chat service for game players released in App Store and Google Play in December 2010. It offers private chat for communication with guilds an friends in a game and an open community for interaction among game players. It holds game developers' official events including offline gatherings and tournaments. Lobi chat SDK is also available for adding chat function to games and official communities linked with a game app. *Packet fee is required to use the application.